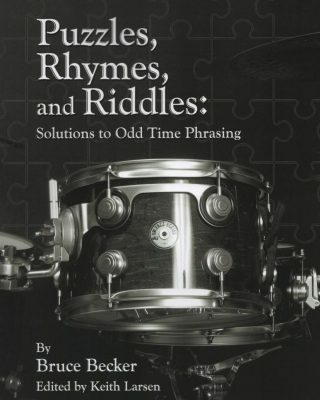 My intention for writing this book is to give some insights and concepts to learn to hear and play odd time patterns and groupings. I have had the good fortune to work with some eccentric composers who have challenged my understanding and ability to play odd time music. I hope you find the material in this book intriguing, challenging and a valued sourced to draw from in your dealing with complex patterns and groupings. Bruce’s book presents and breaks down all this to give intermediate and advanced students some serious concepts to chew on. Working each idea from several angles, this will be enough to keep even the most rhythmically discerning drummer busy. In this new DVD Bruce articulates a very clear narrative on some major building blocks in developing drum technique. The concepts put forth are to establish a better mind body connection in an effort to heighten our awareness of how our body moves. By blending these ideas with the natural principles of physics, Bruce opens up the avenue of flow! I’ve gotten some excellent new ideas and insights working with Bruce Becker’s DVD ‘Concepts & Philosophies’. Bruce has managed to distill many of Fred Gruber’s essential teachings into manageable portions. 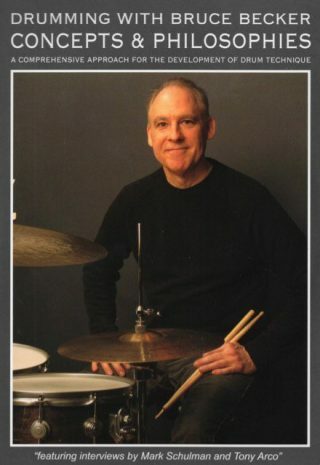 Combining Freddie’s ideas with his own teaching discoveries and methods, Bruce has created a program that is vital viewing for all serious students of the drumset. Highly recommended!